LEED Gold certification for the new building resulting in a 30% reduction in water use, 15% reduction in energy costs and 20% less wastewater produced. In case you can’t wait and you need a vertical garden or living wall now, check out these hanging plant pockets for around your home. 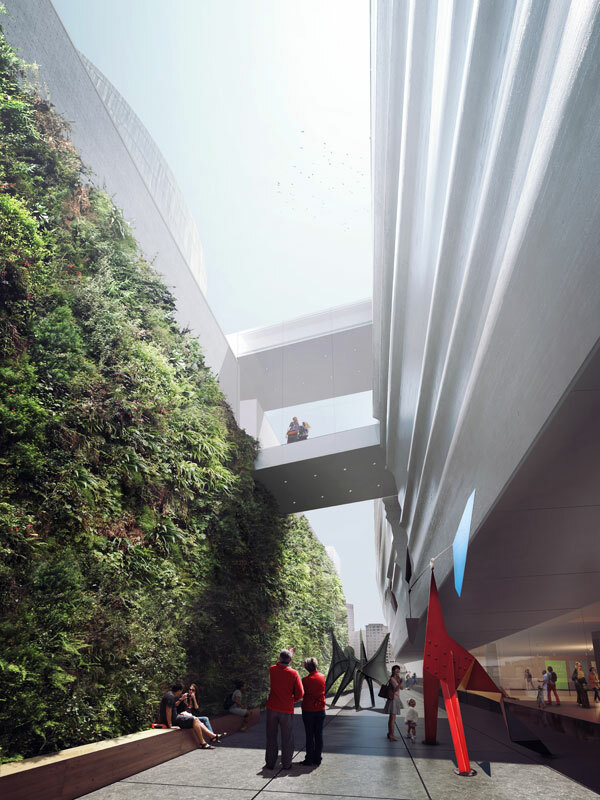 With breathtaking new architectural features, expanded gallery space and new free public viewing areas and gardens, this SFMOMA expansion is shaping up to be an amazing new San Francisco landmark and tourism draw. 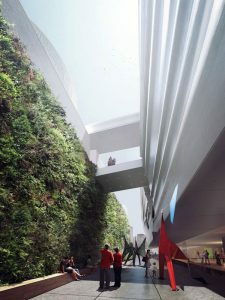 Maybe it will even give the largest living vertical wall in North America a run for it’s money!